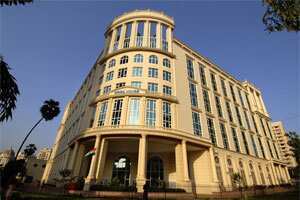 Outer view of Crisil House in Mumbai. Photo: Abhijit Bhatlekar/Mint. Crisil Ltd’s research division continues to have a lion’s share of the company’s performance. Shareholders will hope it continues to do so as signs of an economic slowdown become stronger. Crisil’s operating profit margins have, in fact, improved by about 2.8 percentage points y-o-y. Combine that with a 38.3% increase in revenue, and operating profit rose by 49.2%. The ratings business, which contributes 40% to sales, saw revenue rise by 14.4%, slower than in the June quarter when revenue rose by 19%, but profitability improved. Segment profit margin for the division rose 1.65 percentage points. Better profitability could be attributed to price increases, the mix of rating assignments and cost controls. The key concern for this division will be if economic growth slows considerably due to rising interest rates and inflation. It is normal for the ratings business to get affected when economic growth hits a rough patch. If revenue growth in the ratings business slows for a few more quarters, it could be seen as a trend. The research division’s sales rose 47% and profitability improved marginally. The division now contributes over half to sales. Some of this growth was attributable to an acquisition, which was effective 3 December. The low base effect will taper partly in the current quarter, and fully in the March quarter, which should result in relatively slower sales growth. Crisil’s healthy profit margins are a proof of its strength in its chosen fields. The only real risk visible at this point is the effect of a prolonged slowdown in the home market.